Romhacking.net - Review - Best Revitalization Ever! 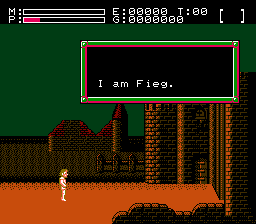 A new English translation for Faxanadu has been released, thanks to the efforts of Goutetsu (Translator) and Unsavory Maggot (Hacker). 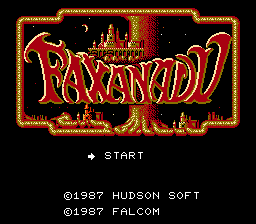 This translation includes all of the features from the Faxanadu Restoration hack. All Japanese features have been retained for this release, including the censored crosses, rosaries, signs and statues, the name screen, and more. 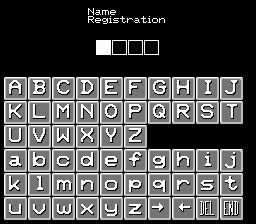 New features include a rewritten dialogue engine, restored graphics, restored text, hold A to speed up text, item use flavor text, corrected typographical errors and SRAM saving – never write down another erroneous password! Includes numerous bugfixes – weapons/armor no longer vanishes, the shield-less climbing animation is fixed, the pendant now correctly boosts your power, the fountain ladder no longer breaks – and so much more! Uncover more of the mystery than ever before, with a fresh translation that promises to be more clear and accurate, utilizing expanded ROM and thorough editing. Two patches are included to ensure compatibility across platforms! This is the best patch ever! This made the story better, the text is nice and readable, the pendant does what it is suppose to do, and the game save is a great welcome. This version became my debut LP on my FB page. I played the whole game and recorded it. 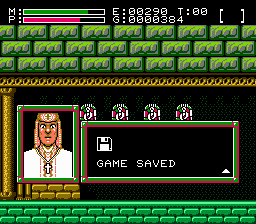 This was the best run of Faxanadu ever! Much thanks to all who made this possible.